I don’t visit Trunk Clothiers much. When they first opened in 2010, I worked nearby and enjoyed their large selection of trim, considered Italian tailoring, but more-so the irregularities: Comme des Garçons Homme and (if memory serves) even a little Kapital. Those days are gone and the store now stands as one of the most tightly edited in town; with a buying policy that seems focused on what Marcello Mastroianni might have worn. It’s all a bit Monocle Man for me: v-neck knitwear over a white tee, suede loafers, Incotex chinos cuffed just so. It’s beautiful, don’t get me wrong. It’s just that if I’m going to dress-up as something, it’s more likely to be a 60 year old Japanese whittler than a Riviera gigolo. That said, if anything will get me reaching for a phrase book and the Abdominizer it’s a jacket like this. 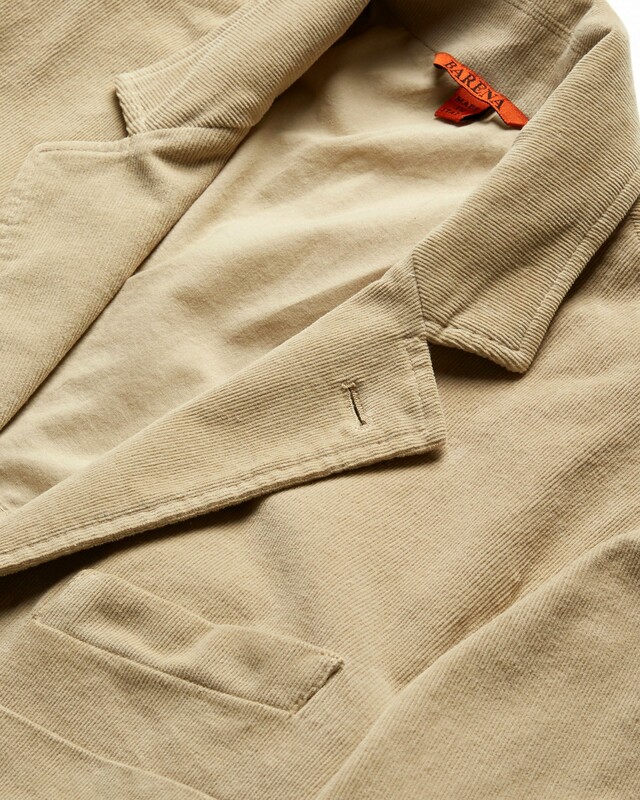 It’s by Barena, one of those unusual brands that can sit comfortably amongst the Boglioli and Lardini at Trunk, but also work in the mix over in Goodhood’s women’s department. 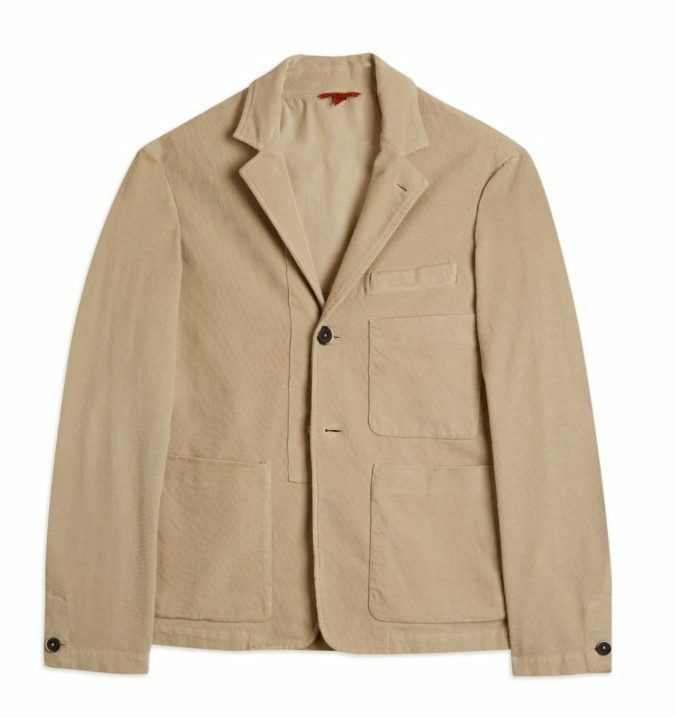 Sort of a blazer, sort of a light jacket, almost a cardigan; it’s one of those pieces that would look fantastic flopped over a white linen shirt, as the sun dips over a Vezza d’Alba vineyard. That’s assuming you haven’t got a beer belly. Seriously, that’s a real problem. Volumous, Japanese popovers and drawstring Baker trousers keep stomachs masked beneath balloons of fabric. If you’re going to persue a more streamlined, erotically charged vibe you better lay off the Choco Leibniz. The pocket arrangement is neat, as is the needlecord fabric, but it’s the shape and the button placement that does it for me. 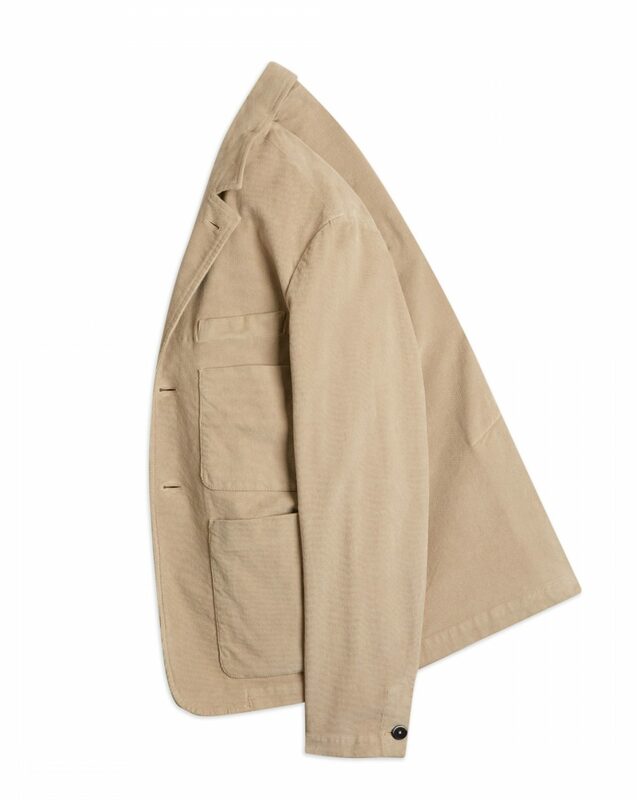 The jacket looks short in the body, but with its two button fastening positioned high. It enables a great interplay between smartness and just thrown on. 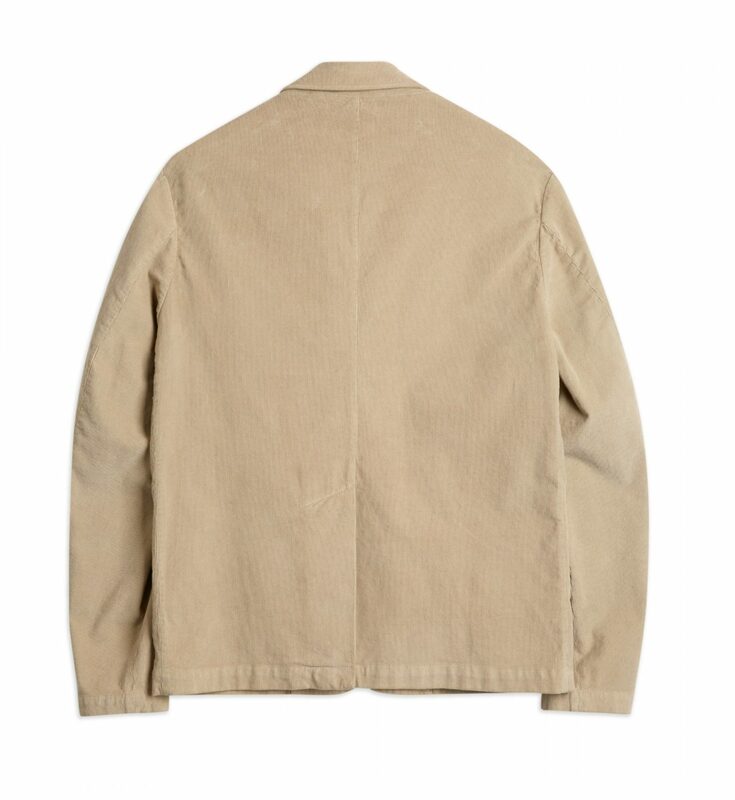 Early APC blazers used to have a similar cut. It’s a really great piece this. It makes me want to get busy with the St Moriz Bodyglow, stick on some Vivaldi and drink gallons and gallons of Valpolicella. I just don’t remember Mastroianni reaching for the Zantac every five minutes.